The new dual axle 2T trailer is suitable for transporting a wide range of plant machinery and wheeled equipment such as rollers and access platforms quickly and safely. Built with galvanised steel and a phenolic coated laminated platform provides extra protection for carrying rollers and excavators. The GH94 comes with two sealed for life wheel size options as well as a heavy duty jockey wheel as standard. 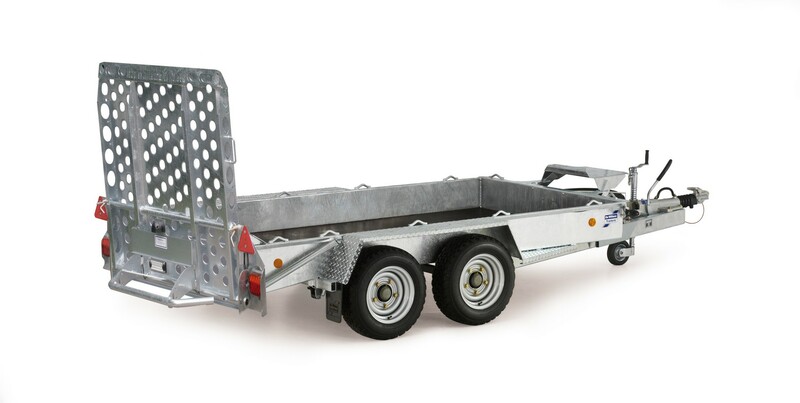 The longer length provides an excellent 2200kg payload and is ideal for users that have restricted towing capacity.